HOLLYWOOD ACTOR JIM Carrey won’t be going to trial over the death of his former girlfriend Cathriona White. The 30-year-old Irish make-up artist was found dead in 2015 after taking a drug overdose of prescription drugs in one of Carrey’s homes. Both White’s estranged husband, Mark Buron and her mother Brigid Sweetman had sued Carrey and claimed he was responsible for her death. A spokesperson for Carrey told The Hollywood Reporter that the suits had been dismissed on 25 January, but “wouldn’t comment beyond saying the actor is looking forward to moving on with his life”. Michael Avenatti, the attorney for Sweetman and Burton, said that they had “no further comment at this time”. Carrey and White were alleged to have had an on-again, off-again relationship since 2012; it’s been claimed that the two had broken up before her death. Carrey served as a pallbearer at White’s burial in Tipperary and wrote a tribute after her death, describing her as a “truly kind and delicate Irish flower”. 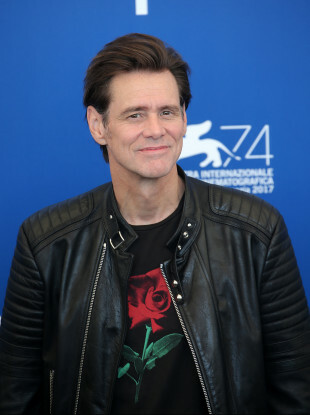 Email “Jim Carrey won't go to trial over death of ex-girlfriend Cathriona White”. Feedback on “Jim Carrey won't go to trial over death of ex-girlfriend Cathriona White”.